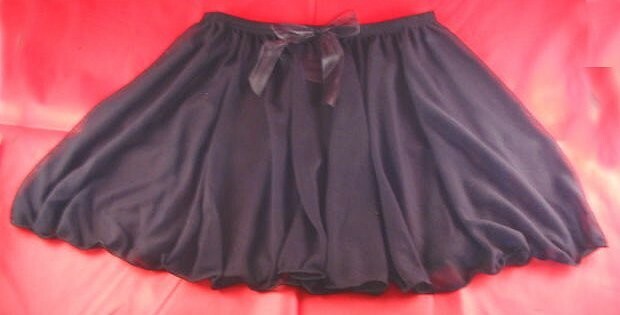 CHILD FULL CIRCLE PULL ON SKIRT HAS A LIGHT FLOWING CHIFFON SKIRT WHICH MEASURES 10 INCHES. LONG . PERFECT CHOICE FOR YOUR BALLERINA.